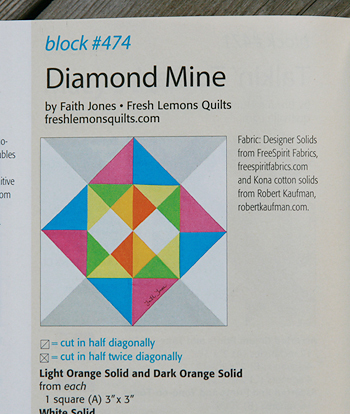 My block is called Diamond Mine and is #474 inside the magazine. They had us sign our name on the actual block which I have never done before. I kept thinking "Really? Write my name ON the block?" Despite all my elementary teachers' best efforts, I just have horrible handwriting. You can see it in the bottom pink section. 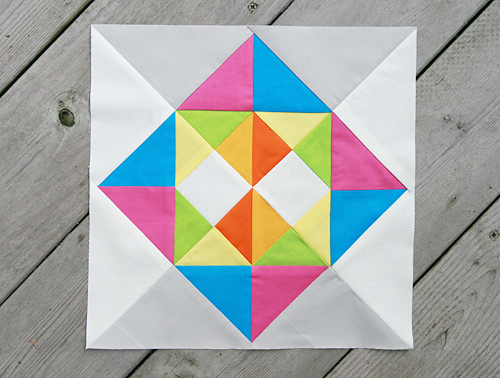 When I was designing the quilt block, I mocked up a couple of ways you can layout your blocks for a quilt top. 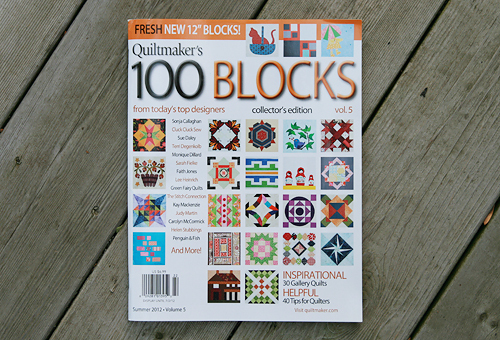 This issue of Quiltmaker's 100 Blocks officially goes on sale May 8th. 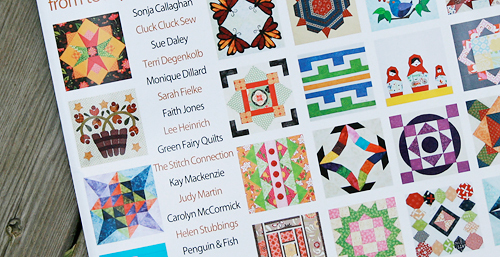 I hope you will check it out at your local bookstore or craft store!